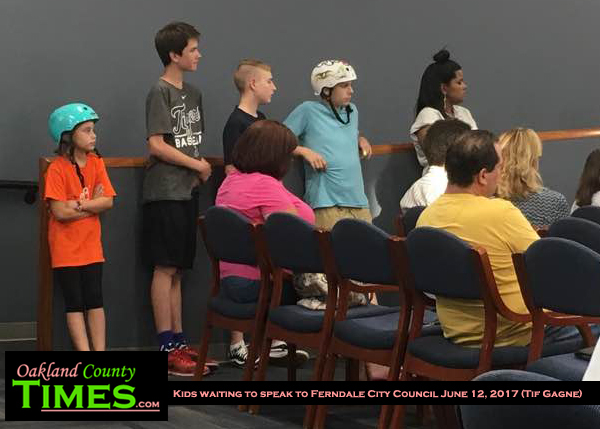 Ferndale, MI – A group of kids was really happy Monday night when Ferndale City Council voted to proceed with plans for a skate park at Wilson Park near Hilton and Marshall. The young people took turns speaking at the podium, telling Council why they should approve the project. Among the reasons given were that kids could be skateboarding instead of on their phones all day, that skateboarding in front of their house is boring, and that if the park has a variety of obstacles at all levels practice and get better. The Skate Park was one of many amenities outlined by the Parks Master Plan that is to be paid for through a bond passed by voters in 2015. “We’ve been talking about this for three years. I’m glad to see if coming to fruition,” said Councilperson Greg Pawlica who serves on the Parks Advisory Committee. When asked about the location, DPW Director Loyd Cureton explained that Wilson was laid out in such a way that the park would be located in an area away from the kids’ playground, and that the area already had adequate lighting. 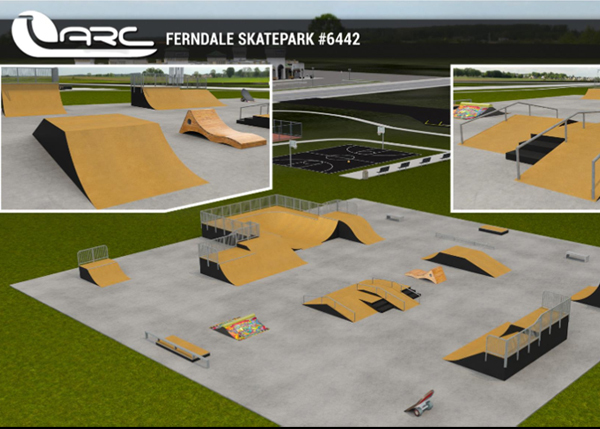 The skate park design was a collaborative effort by Ferndale residents, professional skateboarders and The American Ramp Company. Obstacles include several quarter pipes and half pipes, jump boxes, grind rails, stairs, ramps and DIY spine. The cost of the project is $249,937.76 to American Ramp Company for equipment and $108,648.00 to Hartwell Cement for the concrete work. City administration is meeting with the City’s insurance provider later in the week to discuss how this will impact rates, however DPW Director Cureton said that generally this has fallen under the general policies for other communities. Mayor Dave Coulter instructed staff to come back to Council before the equipment is installed so that Council can vote on the rules and regulations. He also thanked the young people for coming. “You’ve made some really good points and I appreciate your perspective,” he said.